United States Sports Academy website is intended to support the Academy’s mission as a sports university created to serve the nation and the world with programs in instruction, research and service. Documents, textual content, search results, or information in any other form (collectively referred to herein as “information”) that are found on the Academy’s website are provided by a diverse range of sources. United States Sports Academy makes no warranties or representations, either expressed or implied, about the website or its content or about the accuracy or currency of any information on the Academy’s website. United States Sports Academy further disclaims any and all liability whatsoever in any information, material, or content of any external websites or web pages that may be accessed through or linked to the Academy’s website. Users are hereby notified that by accessing and using this website the user assumes the risk that information and content contained on the website may be inaccurate.  The current course catalog is the authority for any information herein contained. Any reference on this website to any specific commercial product, service, manufacturer, or company does not constitute its endorsement or recommendation by the Academy or its employees or agents. All website information is subject to change without prior notice. The Academy makes no warranties or representations concerning the availability or functionality of information contained on its web servers or that this website will be uninterrupted and error-free. None of the material, information or content on this website shall serve as or create a contract between United States Sports Academy and any person or entity accessing and using the website. By using The United States Sports Academy’s website, each user agrees to abide by the copyright laws of the United States, all other applicable federal and state laws, and applicable policies and guidelines of The United States Sports Academy. The Academy shall have the right to terminate a user’s privilege of use immediately by written notice upon user’s breach of or non-compliance with the terms of this disclaimer. Users may incur personal liability for any copyright violations resulting from the user’s failure or refusal to abide by the terms of this disclaimer. Comments involving information perceived as inaccurate, misleading, or inappropriate should be directed to the current Director of the Department of Communications & Marketing.